Theodore Bent was a highly gifted communicator and presenter (and self-publicist! ), spending the summer/autumn months from 1885-1896 in front of lecterns around the country informing scholars and general audiences alike of his discoveries, theories, plans, and adventures. Here he is talking to camera for a fantasy documentary! 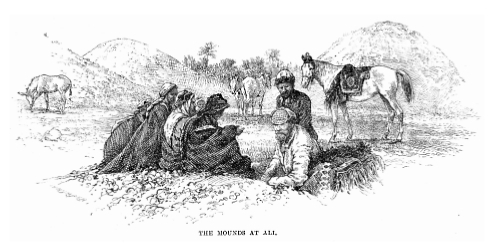 ‘The Mounds at Ali’ from Theodore Bent’s 1890 paper for the Royal Geographical Society (Bent 1890a, 12). Etching by one of the Whymper family, based on a photograph by Mabel Bent (from the Bents’ Southern Arabia, facing page 24). Photo: private collection. On his way in 1891 to Cape Town by ship, Theodore even gave a lecture to his fellow passengers – some 60 years before Sir Mortimer Wheeler spoke at the first ever Swan’s Tours talk on the antiquities of Greece on an Aegean cruise (and, incidentally, Sir Mortimer has cited Bent as an early inspiration). 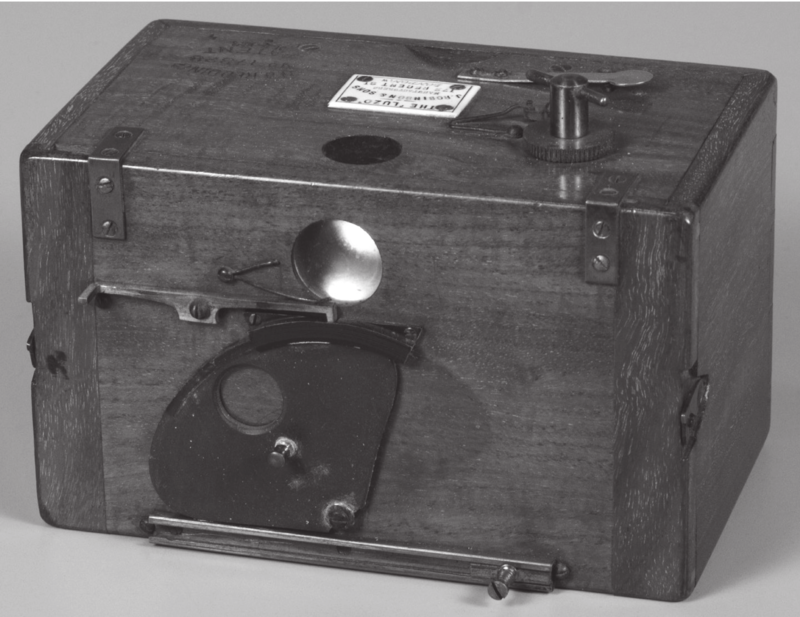 For most of their journeys, Mabel was the intrepid field photographer: very much a pioneer in her way, she was forced to process her glass plates and fragile films in makeshift ‘darkrooms’ in the most difficult of conditions; the pages of her diaries contain countless references to the difficulties she faced as an early travel photographer. Back home, Theodore used Mabel’s photographs as lantern slides for his lectures – but unfortunately only a very limited archive has survived the years. A limited number of glass slides are in a collection held by the Royal Geographical Society, London. Today, Theodore would certainly be on our TV/computer screens fronting documentaries on the couples travels to Greece, Africa, Southern Arabia, Iran, etc. Perhaps you are involved in some way in travel documentaries? If so we would be pleased to hear from you – we can provide scripts, information and ideas! Start casting for Theodore and Mabel! For information on Bent travel documentaries, contact us at info@tambent.com.